Looking for the best in timeless landscape painting? You have found one here. 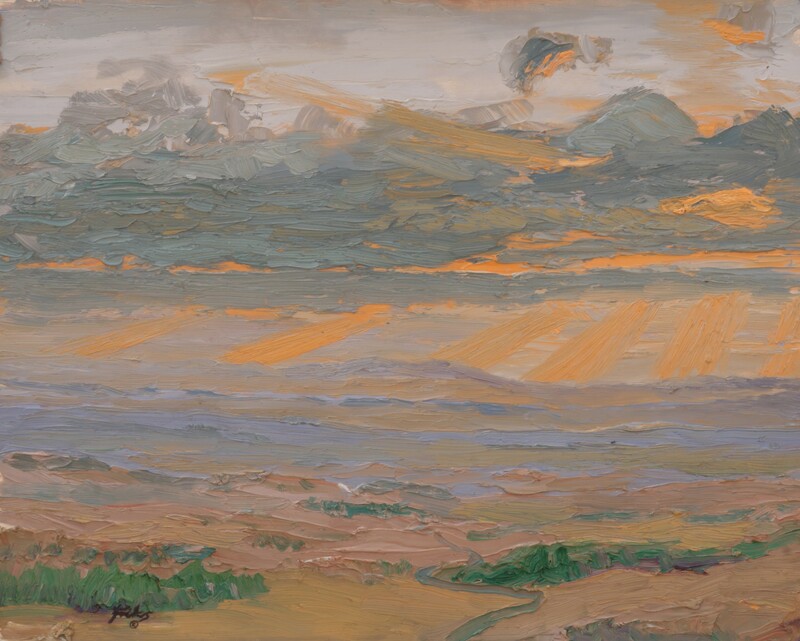 Gordon Frickers, a sunrise landscape painting 40 x 50 cms (15¾” x 19¾”), oils, price £1,200.00, ex frame, ex studio. This painting came into being as part of a series of experiments, each picture produced on location, same location over a series of days. Here you can see how the artist’s rapid response painting as much by intuition as by learning, to the sunrise is rich in texture, intensity of observation, enjoy, share.